It’s time once again to Share My World! The questions have been posed by Cee over at her photography blog. I don’t have a lot of time, I’m off to work soon to start the “long weekend of work” so I’m writing this now in case I don’t have any more free time until next week. Of course there are other thingies and whatnots out there. Have you not seen the TV? I was watching an excellent documentary the other day, it was called “Star Trek” I think, and they had lots of pictures of extraterrestrials. Here’s one (copyright probably CBS/Paramount). I wouldn’t want a duck-billed platypus as a pet. I would think that they’d be quite hard to take care of! (Picture from State of the Environment, Tasmania website, credited to Dave Watts). I’d be bluey-purple. I like that range of colours. Or alternatively I’d be white, because no-one would use those much and I’d exist a long time. Transportation? I’d don’t really fancy dragging people from place to place. If I had to be a mode of transportation, maybe a little boat, cutting through the waves in the sunshine. That might be nice. Except I wouldn’t know if it were nice or not, because I’d be a boat, and boats aren’t aware of such things. From superyachts.com, for sale now at only £6.5m. I’ll take two! Oh dear, this tricky question again. I’m grateful I’m still alive and kicking. I’m looking forward to the hopefully successful completion of this weekend’s big project at work. 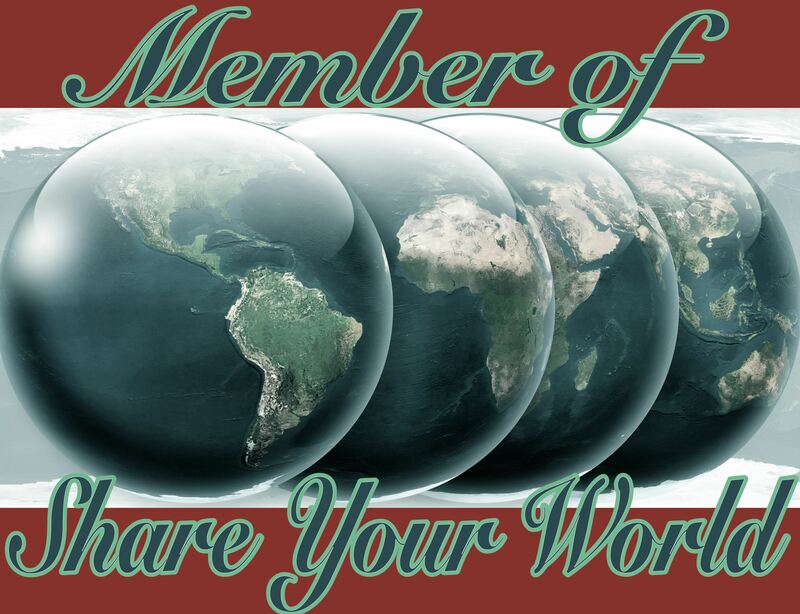 See you next time when I will be “sharing my world” once again! That is one pretty super-looking yacht. 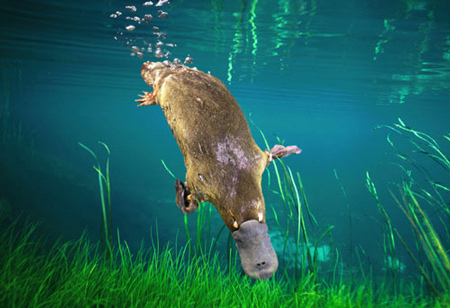 What has the duck billed platypus ever done to you? 🙂 love the post it got my day going with a smile. Have a super weekend. I’m glad you enjoyed my post. You have a super weekend too! Kitten, puppy, hamster the list is long before we get to the platypus. I laughed out loud when I read your answer. Great answers, as always. Hope everything goes well this weekend! It’s a very popular colour, judging by other people’s answers! Yeah, as a white crayon I’d last forever! Platypi are actually quite dangerous with a poison claw, I kid you not, everything is trying to kill you in Australia! Not good for cuddles then? Boo. definitely not good for cuddles at all – sorry!! I didn’t know that about Platypi and their poison claw. Actually I’ll take one of the yachts too. Thanks of much for sharing. See you next week. Looks like I was right not to want a platypus as a pet! white, what logic for choosing it !! Thanks for sharing glimpses of your thinking 🙂 Have a great weekend and goodluck with your project. That’s my practical side coming out! The project is going OK so far. Another ten or so hours today and hopefully we’ll be all set for everyone coming back into work tomorrow! I have been through all of the exotic pet phase and think I’ve pretty much settled on having an indoor cat or dog for the rest of my life. Those squirrels, snakes, owls, monkeys, saltwater fish, horses, pigs, chickens, cattle…………….. done with all of them.